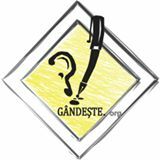 Presedintele Comisiei Europene (CE), Jose Manuel Barroso, a anuntat ca federalizarea Europei, prin transformarea UE intr-un mega-stat federal, va avea loc in cativa ani. 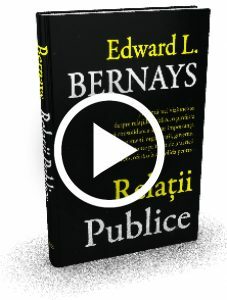 Potrivit Daily Telegraph, Barroso a precizat ca, pentru transformarea UE intr-un stat federal este nevoie de modificarea Tratatului de aderare. Seful CE a apreciat ca dezbaterea modificarilor ce vor fi aduse Tratatului UE va avea loc in primavara anului viitor, inainte de alegerile europarlamentare. 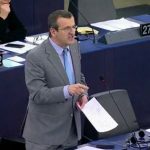 „Este vorba de uniunea economica si monetara pentru intreaga Uniune Europeana, nu doar pentru statele zonei euro. Aceasta suna drept SF politic astazi, dar va deveni realitate in cativa ani”, a tinut sa precizeze Barroso. The president of the European Commission has fanned the flames of British debate over EU membership by insisting that fiscal union in the eurozone will lead to “intensified political union” for all 27 member states. “This is about the economic and monetary union but for the EU as a whole,” he said. 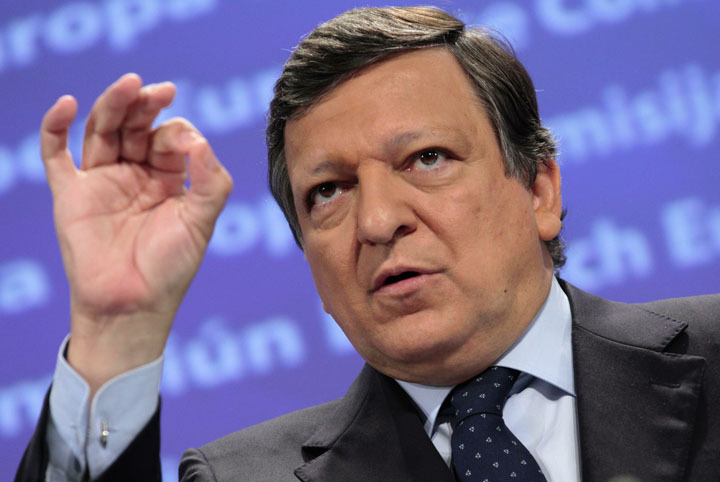 Mr Barroso’s announcement that he will set out plans for a European federation next spring, before elections to the European Parliament in May 2014, will further deepen Conservative divisions over the EU. The intervention will add weight to the argument made by Lord Lawson, and other anti-EU Tories, that it is pointless to try and improve Britain’s membership terms when the dynamic, set by the eurozone, is towards a fully-fledged federal Europe. The commission president’s argument is that as the eurozone adopts federalist structures on fiscal and economic policy, supported by Britain as necessary for financial stability, there will also be a need for political structures that will fundamentally change the way the EU works. “Further economic integration would transcend the limits of the intergovernmental method of running the EU and the eurozone in particular,” Mr Barroso said. Writing in The Times today, Lord Lawson, the former Chancellor, has reignited the Tory debate on Europe by calling for exit from the EU because developments in the eurozone have changed Europe’s politifal structures, an argument that mirrors Mr Barroso’s case for a new federal or constitutional treaty. “The heart of the matter is that the very nature of the EU, and of this country’s relationship with it, has fundamentally changed after the coming into being of the European monetary union and the creation of the eurozone, of which – quite rightly – we are not a part,” Lord Lawson wrote. Proposals for an EU “political union”, with budget policies set in Brussels and an elected president of Europe, will derail David Cameron’s attempts to negotiate a new settlement for Britain, culminating in an “in or out” referendum in 2017. In stark contrast to the Prime Minister’s call for Britain to regain sovereignty from Brussels, Mr Barroso has called on all European leaders to accept that political union is inevitable in order to confront outright opposition to the EU, such as that from the UK Independence Party. “This is why I believe the mainstream forces in European politics must seize the initiative, should leave their comfort zone to welcome and embrace this debate, rather than relinquish the momentum to eurosceptic or europhobic forces,” he said. Si care este rolul tainic al Romaniei pentru aceasta? Au nevoie de jertfa, au nevoie de binecuvantarea lui Avraham. In samanta noastra vor fi binecuvantate toate neamurile. E foarte bine, atata comentam cu vandutul tarii incat nu vedem ca ai nostrii ne fura cel mai mult, ce atata valva? Vreau si eu o tara in care sa ai aceleasi sanse u ceilalti, nu sa iti puna piedici cei din si cu legaturi cu aceasta clasa politica. Daca ar fi ca in Germania ar fi minunat, nu ma referla salarii ci la sistem , acolo ai sanse egale cu toata lumea. Baroso face parte din grupul Bidelberg-guvernul din umbră care urmăreşte globalizarea-sclavagizarea lumii. 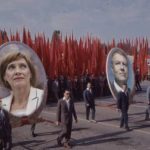 România a cunoscur comunismul şi se pare că mondaializarea va aduce omenirii un comunism mai rău decât cel pe care-l am trăit.Dacă lumea nu se va opune, atunci asta îi va aştepta.